Hot drinks have always played an important role in British culture, particularly in the case of tea. However, simply being able to offer tea on the menu is no longer enough to satisfy consumer needs. Coffee, ice coffee, tea infusions, lemon infusions, hot cordials and even hot chocolates are all popular alternatives worth capitalising on. Here are the latest tips on improving your offering of tea and coffee in your establishment. 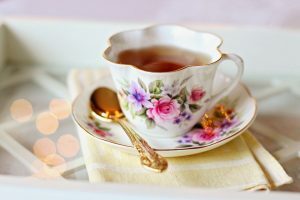 Although tea is still the hot drink for the majority of consumers, drinking 165 million cups across the UK daily, the trend of premiumisation has resulted in tea drinkers seeking higher-quality teas and new flavour experiences. Green teas, black tea fusions, fruit/herbal teas are amongst the types with growing varieties. The continuation of efforts towards wellbeing and healthier living is very much a part of this increase in fusion tea popularity. Teas which contain detoxifying agents, such as green varieties and lemon and ginger, are also set to be in line with this trend. Trends towards tea and infusions is constantly changing. New flavours, combinations and even new types of packaging are always being developed to capitalise on consumer curiosity of higher quality teas. Therefore, to maximise tea infusion sales, it is important to try and research into the market as to what flavours and blends are drawing customers interest. Coffee has been slowly growing in popularity, with consumer consumption being up to 70 million cups a day across the UK. The rise in the market is partly due to the wide variety of coffee drinks available. But which are the most popular? Premiumisation has given UK customers a taste for higher quality coffee. Those that are the best quality are made with professional barista machines. This includes cappuccinos, lattes, expressos, flat whites etc. Flavoured syrups and variations in strength are also used to satisfy every customer’s needs. These speciality coffees take up the majority of the market, therefore it is essential for any coffee shop, restaurant, or high-end hotel to offer wide selections of premium coffee and have high quality machinery and expertise to make them. Iced coffee is a growing trend in the UK, £370 million was turned over in 2017 due to iced coffee sales. 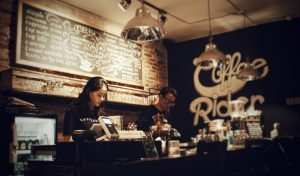 The increase in sales of iced coffee is largely driven by the younger generation, with iced beverages representing a significant opportunity to introduce younger consumers to the coffee shop market. For example, products such as frappuccinos and macchiatos are very appealing to a younger demographic. Another new style of coffee on the market is Nitro Coffee: a cold brew of coffee that is infused with Nitrogen to give it a silky-smooth taste. With low sugar and calorie content, Nitro also represents a significant opportunity to attract younger, health conscious individuals. These factors make young consumers a key demographic for coffee shops looking to expand their iced offerings. Iced coffee consumption is also very heavily dependent on weather conditions. Typically, the summer months are the most lucrative in terms of summer sales. However, drinking iced coffee all year round is becoming a more common trend. Another popular trend in the coffee market is the inclusion of coffees with seasonal flavouring. For example, Starbucks are set to introduce flavoured coffee such as Gingerbread Latte and Toffee Nut Latte in the Christmas period of this year. To accompany these festive flavours, they also change the packaging of their products and sell their coffees in red coffee cups. Pumpkin Spice Latte is another popular seasonal flavour which is served by coffee shops in the autumnal months. No matter your equipment and hot drink menu selection, the importance of staff training should never be understated. 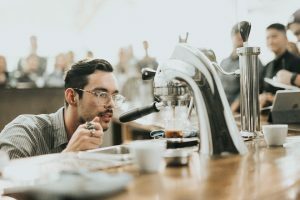 Customers visit coffee shops for the full experience offered by a trained barista: high quality styles of coffee made by a professional, exceeding those of home user-friendly machines. If a hotel wants to provide an experience that can rival coffee shops and restaurants, this should be no different. A barista’s hotel duties do not have to be limited to only providing coffee. 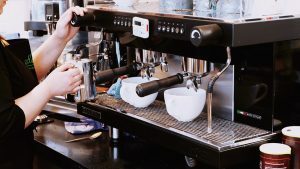 On slower days when demand might be low, your barista could be trained so that they are multi-skilled in areas such as bartending, food service or hygiene maintenance. This can ensure that their time can still be utilised effectively when their duties as a barista may be unnecessary. However, cheap and easy to access coffee pod machines, which can produce premium coffee, are growing in popularity. With the right equipment, you can ensure your coffee ticks all the boxes for connoisseurs, whilst reducing overhead costs at the same time. A capsule-based machine: guarantees consistency of taste, does not require daily calibration, and is quick and easy to clean. It also means that there is no need to employ a barista qualified member of staff. 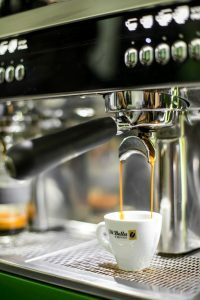 The importance of a good quality coffee machine is dependent on the scale and quality which you are wanting to produce. Certain types of equipment will be more suited to produce lower or higher volumes and quality. A traditional espresso coffee machine is the perfect choice for anyone looking to produce higher quality beverages. They are the most common commercial coffee machine which you will see in coffee shops. If you are a restaurant/hotel looking to compete with coffee shops, then you would also require this sort of equipment. In order to function effectively, an espresso coffee machine should be fitted with a high-quality coffee grinder. Cheap, low quality grinders ruin the taste of coffee beans and result in an inferior tasting coffee. Furthermore, the addition of accessories such as water kits and filters can transform and improve the quality of your coffee output. Bean to cup machines are perfect for establishments with a low demand for hot drinks, such as in pubs. Being fully automatic also makes them perfect for unstaffed self-service locations, allowing staff to handle other tasks. Considering this, they are a common feature for high speed environments such as fast food chains and service stations. 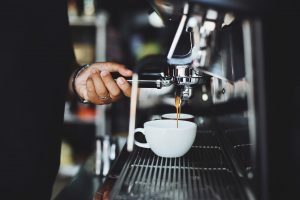 If you require a large amount of coffee to be continuously served, such as in a hotel, then a bulk brew machine is certainly the correct choice. These ingenious, economical and efficient machines produce large amounts of coffee quickly and easily. If you are a high-end hotel or tea room, then it is very important for your staff to be trained to serve tea at an exceptional standard. Well trained staff are key to increasing your sales and creating a tea experience to delight customers. Staff will need to be educated on the correct temperatures different types of tea need to be served to ensure the best quality. The latest technology has been used to investigate the effect of water temperature on different types of hot beverages. It has been found that the temperature of the water used can have a huge impact on the taste of tea. In fact, all different types of tea have an ideal infusion temperature. For example, 70 degrees is considered the optimum water temperature for green tea. Whereas, 95 degrees is considered the optimum temperature for black tea. With coffee, 100-degree water should never be used as it will burn it, whilst water at 91 degrees or below will not extract it properly. Therefore, if serving an expansive tea menu, one option is to invest in multiple water boilers rather than one large capacity piece. Alternatively, there are now gadgets which can be fitted onto an individual boiler which can dispense water at different pre-set temperatures. For example, the Macro MIX 3 Button Font can dispense water at 3 different pre-set temperatures at 3 different pre-set volumes when attached to a boiler. Being able to easily and quickly access water at different temperatures is crucial to successfully facilitating an expansion in variety of different types of hot beverages whilst maintaining the highest quality across your offering. Being the UK’s top supplier for wholesale catering equipment, Alliance provides the ideal range of cold and hot beverage equipment to meet the dispensing needs for any establishment. Visit www.Allianceonline.co.uk to see our exquisite range of beverage equipment. Hot drinks have always played an important role in British culture, particularly in the case of tea. However, simply being able to offer tea on the menu is no longer enough to satisfy consumer needs. Coffee, ice coffee, tea infusions, lemon infusions, hot cordials and even hot chocolates are all popular alternatives worth capitalising on. 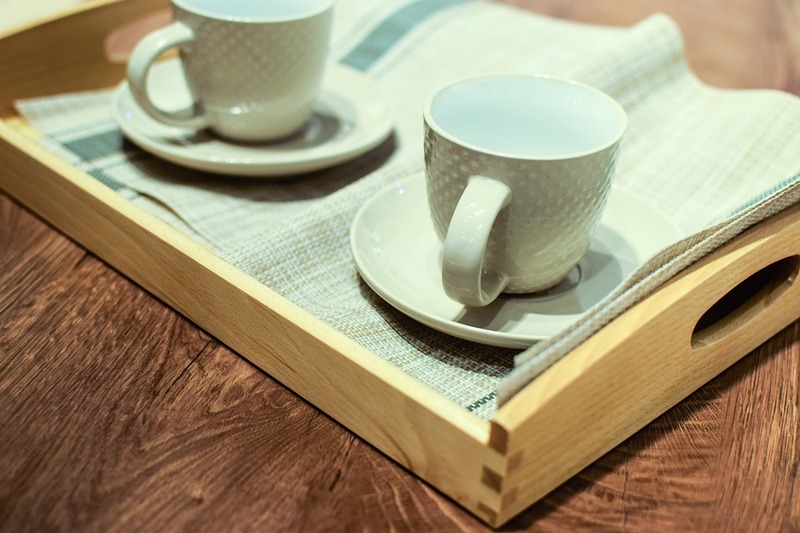 Here are the latest tips on improving your offering of tea and coffee in your establishment.